Commercial success and critical acclaim together or apart are not really the true measure of an artist’s work. History and public acceptance can ‘transform’ the perspective and create a re-evaluation, or revisionist history towards how the art is viewed. No other work quite typifies this more than Lou Reed with his second solo effort “Transformer”. With the Velvet Underground, Reed became a beacon to the outsider experience and while album sales were low, critics and musicians had found a kind of anti-hero on whom to heap praise. Once the Velvets had broken up, Reed continued his stories and of counter-culture misfits but to a more commercialized effect on Transformer. Produced by David Bowie and his guitarist Mick Ronson, Transformer would be heavily influenced by Bowie’s then ‘glam’ movement and blur the same androgynous lines can be heard singing backing vocals (his falsetto seems obvious on Satellite of Love, . However, Reed would use his own brand of wry observation and deadpan delivery to create characters that lived with and amongst his crowd as opposed to embodying the characters space as Bowie did with Ziggy and Aladdin Sane. 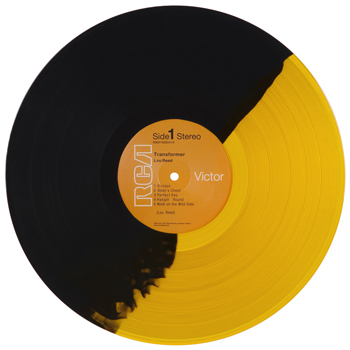 As with its predecessor Lou Reed, Transformer contains songs Reed composed while still in the Velvet Underground (here, four out of ten). “Andy’s Chest” was first recorded by the band in 1969 and “Satellite of Love” demoed in 1970; these versions were released on VU and Peel Slowly and See, respectively. For Transformer, the original up-tempo pace of these songs was slowed down. “New York Telephone Conversation” and “Goodnight Ladies” are known to have been played live during the band’s summer 1970 residency at Max’s Kansas City; the latter takes its title refrain from the last line of the second section (“A Game of Chess”) of T. S. Eliot’s poem, The Waste Land: “Good night, ladies, good night, sweet ladies, good night, good night.”, which is itself a quote from Ophelia in Hamlet. As in Reed’s Velvet Underground days, the connection to artist Andy Warhol remained strong. According to Reed, Warhol told him he should write a song about someone vicious. When Reed asked what he meant by vicious, Warhol replied, “Oh, you know, like I hit you with a flower”,resulting in the song “Vicious”. On its release in 1972, Transformer was given mixed reviews by critics who claimed it was overly “art-y” and overly sexual. History of course has shed new light and Transformer has made just about every magazines ‘Best All-Time’ list. There was a BBC documentary devoted entirely to Walk on the Wild Side. My questions were answered. There was Holly, who did indeed “come from Miami FLA”. It turned out “Up-all-oh” was the Apollo theatre in Harlem, and “Sugar Plum fairy” a drug dealer. Though Candy and Jackie had departed this world, Joe Dallesandro was there, wistfully contemplating wasted opportunities. And then there was Lou – decked out in leather jacket and leathery skin – complaining about people using Walk on the Wild Side without permission. Despite, or maybe due to its recognition, finding vinyl editions of Transformer is pretty easy, but figuring out what works best for you might get a little more difficult. You can find used copies pretty much anywhere. I’m sure a lot of people who bought Transformer to get similar material to “Walk On The Wild Side” only to find that it wasn’t like that. As for new, eight official vinyl editions have come out since 2004 with four in just the last three years. On RSD 2012 a straight re-issue was put out in record stores, and is still the most common new copy you will find. In 2013 – 2014 unofficial green and blue versions were released in the UK. Finally, a few weeks ago Newbury Comics put out a Limited Edition half black and half gold version. There were 1200 copies printed and each was gold stamp numbered. Due to the sheer amount of what is available, you can get most copies of Transformer for less than $30.00 (including the unofficial UK copies). Only the Newbury edition is commanding high prices on the resale market, and that’s pretty damn silly, because you can still get a copy from Newbury for less than $30.00. The split colour looks awesome and indeed sounds great. You can get it here. Anyway, with his recent induction into the “Rock Hall of fame” you can expect some renewed interest and copies of Transformer may begin to disappear. You might want to give that some thought this time if you’ve been sitting on the fence.